Fishing books are excellent resources for discovering and learning valuable information to help motivate and fine tune your fishing skills for becoming a better fisherman. I have found that many of the best books about fishing are usually those which concentrate on a specific species of fish. These types of specie specific books should typically focus primarily on everything of which you would need to know about fishing for and catching a targeted specie of fish. Most other books about fishing in general can be a bit broad. Yet, there are some exceptions of well written books for fishermen. When an awesome fishing book has been put together and organized extremely well by a true experienced angler, they can be absolutely great for beginners willing to learn how to fish. What constitutes as a great book for fishing? One that is loaded with "how to" tips and techniques, when and where, best locations, strategies on busting big fish, and more. So, if you enjoy reading, and love to fish, you've come to the right place. We've researched, read and reviewed tons of books and magazines all about fishing. We found the top rated and best selling and are providing them here for you so that you don't have to waste your time with reading through those crappy and worthless written books. Naturally, books in the physical form come in hardcover and paperback. 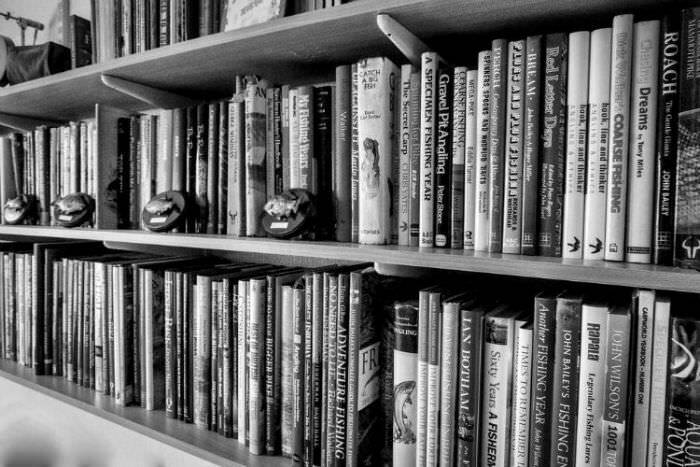 There are also ebooks which are electronically downloaded to your computers hard drive. You can keep them on there, or print them off and bind the pages if you want. Want to try something fun and easy on the go? The Kindle Paperwhite is awesome for reading your favorite books. One great aspect is that the downloadable books for the Kindle are even often cheaper to purchase than the physical formatted books. Be sure to keep an eye out for any of the cool freebies that they may offer. You should expect to get a whole lot out of a fishing magazine subscription. Fishing magazines continuously provide informative updates within each edition with new articles, tips and techniques sections, interviews from professional anglers, reviews on the latest fishing tackle and new products and equipment to hit the market, and much more. Is it that time of the month? Is today a good day to go fishing? Need a little motivation to get after it? Calendars are great to keep track of those much needed days away from the daily grind. Find the perfect style to fit your personal office, refrigerator door, desk top, garage or in the man cave. 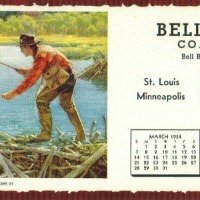 Are you a avid collector of vintage fishing themed calendars? Or just looking for back issues and out-of-print editions? Looking to fulfill your complete set of a particular series?